Gigabit LTE promises to bring many improvements to the telecom industry. A plethora of new GB LTE ready hardware will be launching throughout 2017. Not just within smartphones, the industry will see seeding of GB LTE within drones, mobile routers, tablets, wearables and much more. Look for GB LTE to change usage patterns and go much further than keeping up with increases within data and video consumption. The technology will accelerate usage & applications within 4k 360-degree live streaming, AR, connected cars, and other applications still to be developed. Most importantly, Gigabit LTE will be the needed and robust fallback for 5G and its new applications and rollout. We attended the Gigabit LTE Experience in Sydney, Australia. The event was hosted by telecom giants Ericsson, Qualcomm, Telstra and NETGEAR. To bring true Gigabit data transmission it takes a great deal of cooperation and many, many months of collaboration amongst network infrastructure vendors, carriers, equipment OEMs and chip vendors. So, it is quite appropriate these incumbents came together for a series of updates and announcements. Each company had products or launches to share. 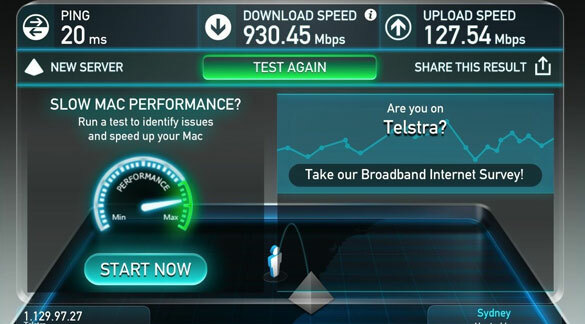 Telstra is the first carrier to launch a commercial Gigabit LTE network. It lit up the network update in Sydney and a few select cities with many more to follow this quarter. 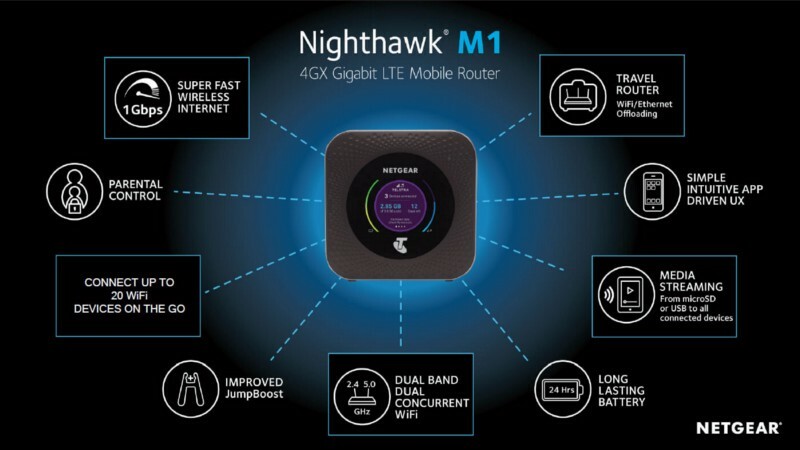 NETGEAR announced its Gigabit LTE mobile router called the Nighthawk M1. It is the first mobile hardware offering GB LTE. Ericsson is the network infrastructure provider behind Telstra’s Gigabit LTE network and the company revealed more details of its advances in higher order MIMO and advanced LTE modulation. Qualcomm is the main chip supplier of early Gigabit LTE hardware which runs on its Snapdragon X16 LTE modem. What is needed for Gigabit LTE? 3-way Carrier Aggregation (3xCA). Since many carriers have a patchwork of spectrum, the ability to utilize multiple spectrum bands simultaneously is imperative. 4×4 MIMO devices. MIMO refers to the transmission of multiple data signals simultaneously over the same channel via multipath propagation. Difficult in small form factors where antennas are so close in proximity, but look for numerous 4×4 MIMO devices to launch in 2H17 in various form factors—the most important being smart phones. 256-QAM as supported by Qualcomm’s X16 LTE modem. Lean Carrier—increased throughput seen by subscribers as network interference caused by reference signaling across an LTE network—as led and demoed by Ericsson since MWC ‘16. As we have seen in past, when subscribers are offered faster speeds and better experiences, they will use it and demand it. Telstra, like most carriers, are witnessing ‘tsunami-like’ data increases. For Telstra, it has been 90% YoY increases. Forecasts by Telstra and Ericsson project that between today and full rollout of 5G, data usage averages are expected to grow from about 1GB per month to 11GB per month — driven by the massive amounts of video being transmitted. This is 10x growth of mobile traffic over next 5 years. Past pure data consumption and speed, new use cases within IoT, smart cities and assisted driving cars will provide ample pull for GB LTE. LTE has a long runway of improvements ahead. Each year, new speed milestones have been gained. Gigabit LTE will be another one. 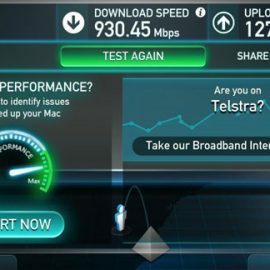 Telstra is definitely ahead of the curve having launched 600MB speeds in 2015 and GB LTE rollout in February 2017. South Korean carriers such as KT and SK Telecom are also leaders in commercializing GB LTE. US carriers announced at CES they would all be rolling out GB LTE in 2017. Look for more carrier activity and multiple hardware OEMs to launch GB LTE devices in 2017. 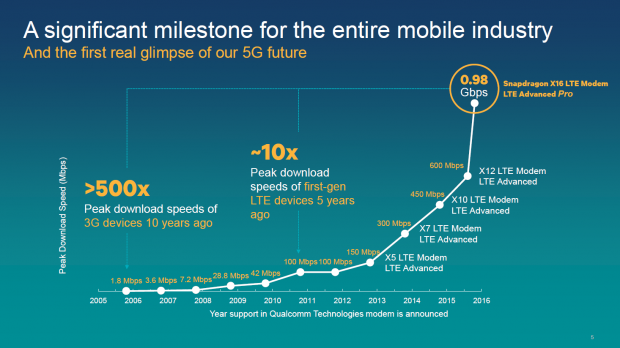 A strong seeding of 4×4 MIMO hardware devices and carriers with a strong Gigabit LTE fall back network will be the backbone of a successful 5G launch. Why is it important for carriers? From a carriers’ perspective, Gigabit LTE is vital once 5G and its new applications begin to rollout. A strong performing LTE network will be vital as a robust fallback network or key experiences offered by 5G (see here) will be dreadful. Gigabit LTE has the potential to accelerate 5G rollout as it is a true stepping stone to 5G. 5G will probably witness an even quicker transition than that of 4G transition because carriers will be able to take advantage of both 4G and 5G networks with a layer of Gigabit coverage everywhere. For carriers, this means a more economic road to 5G. It will also not only bring out top speeds, but bring up overall average speeds. In addition, as downloads will be able to peak, it will more quickly free up spectrum for other users. Less visible to subscribers but very important to carriers are other evolutions which will be optimized with GB LTE including: video over LTE, voice over wifi, LTE broadcast, RCS and better in-building coverage. And finally, with each generational network upgrade, carriers reap the benefits of lower cost of transmission per GB. What does it bring to end users? Video and other high bandwidth applications are not always smooth sailing even with an LTE connection. So clearly there will be noticeable and appreciated download speed improvements with GB LTE. For example, it will be possible to download hours of music in minutes. In addition, video or YouTube content can be quickly downloaded for later consumption even when a subscriber is offline. 1 GB speed will also allow users to make better use of cloud access. In the time it takes today to retrieve content saved on device, a user can be retrieving from the cloud with GB LTE speeds. Good for collaboration with co-workers and good for security. It can be expected that access via a VPN will be a much better experience with the increased bandwidth, too. The speeds of GB LTE will probably bring new subscriber applications laying the foundation for 5G era (see here). An improved, untethered VR experience may be one of them. This also opens the door for applications requiring live video streams. For example, a security feed would have enough frame rate refresh for video even if fast movement tracking is required. 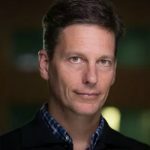 Qualcomm demoed a 4k live stream of a 360 camera streaming from the harbor to the Telstra offices. With a VR headset (see here), one could pan the dock and harbor with no buffering a jumpiness. What new hardware is in the pipeline? Today, there are very few 4×4 MIMO smartphones in the market. Two of them are the Samsung GS7 and the Sony Xperia. Look for many new smartphones and other form factors—potentially drones, wearables, and tablets to commercially available with GB LTE in 2H17. 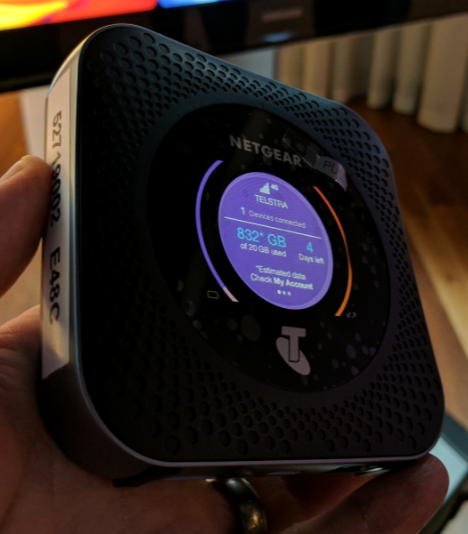 As mentioned in the opening, NETGEAR demoed the Nighthawk M1 GB LTE mobile router which will be commercially available later in February. Expect the device to be marketed for in-home use, within SMB’s and for in-car use. Other key specs include: 4×4 MIMO, QCOM X16 modem (Cat 16 DL, Cat 13 UL), 5040mAh battery (16 hour battery life) (see here), additional security protocols (see here), and compliant with advanced wifi technologies TBD.